Quality Cheese is a "Gift"
I have several Cheese Slicers, Cheese Knives and Cheese Servers at the restaurant and at home. One is for hard cheeses, one for soft cheeses and one is for "crumble cheeses." 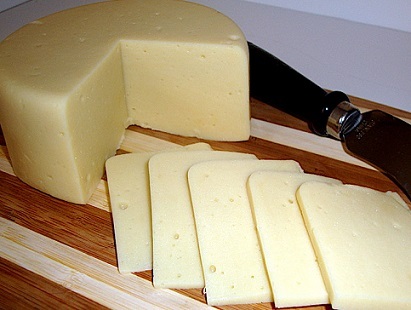 My family and I and the restaurant guests eat a large variety of quality cheeses. Since my family and I enjoy a variety of cheeses, I want to have quality cheese tools for cutting and serving these cheeses. I also need these for serving restaurant guests. 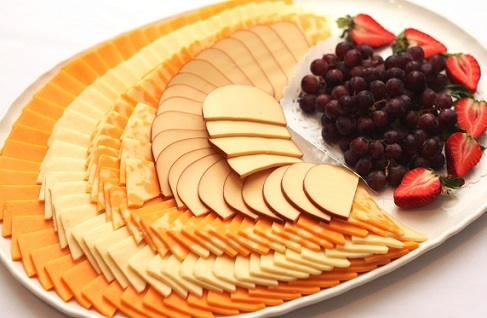 What do you really need to make it easy and attractive for your guests to cut and enjoy the cheese you have presented as an appetizer? One slicer will work, but at least two will give you the flexibility needed. You might consider cheese knives somewhat like the two Chantal stainless-steel slicers pictured. Want "the whole works?" Want to make a really positive impression when serving quality cheeses? Take the Wustof set pictured to the right. Each of these slicers is for a particular type of cheese. It's a great set! One is designed for hard cheese like Parmesan. It has holes in the blade so that the cheese will release from the blade. One slicer is designed for soft cheeses and for spreading. The third is for crumbly cheeses. This set also comes with a waiter's corkscrew for opening wine. 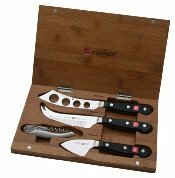 Wüsthof knives are known for solid construction, sharpness and durability. They are fabulous and impressive. The Prodyne K-3-A Set of 3 slicers is far less expensive and the slicers will handle any type of cheese: hard, firm, semisoft, crumbly. The set's pointed knife will break up hard cheeses into pieces. The narrow-bladed knife is for semisoft cheeses. 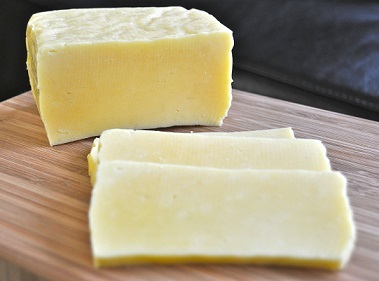 The wide-bladed knife works for soft, crumbly cheeses. Upside? Inexpensive. Downside? Treat them with care, but honestly, for the money you can't go wrong. I have this set and use it frequently. There is one style of slicer that works reasonably well for many cheeses. It is an adjustable slicer (pictured above and to the left). This slicer has a couple of differences from the common grocery store wire slicer making it more durable and giving more consistent performance. You adjust the roller by moving it between three sets of notches. This gives you thick, medium or very thin cuts. Many of these adjustable slicers seem to slip easily which results in having to re-adjust them frequently. I haven't had the problem with the pictured units even after frequent use. The cutting wire itself is firmly fastened to the unit. 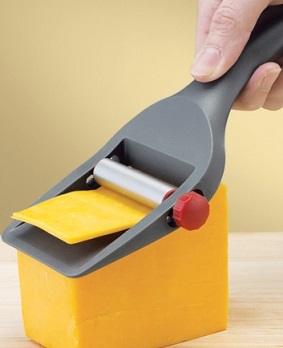 The slicers are a good size and will handle larger blocks of cheese and because of the handle design and material it is made of, it is easy to grip. Now for another type of cheese tool to consider. 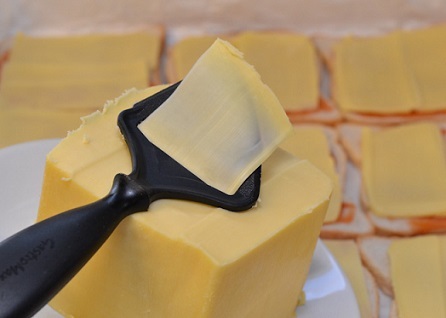 The Twin Cuisine Cheese Knife is pictured. It handles all but the crumbly type cheese. This type of cheese slicer is durable and beautiful. Try it. Now it's your turn to do some online looking around.